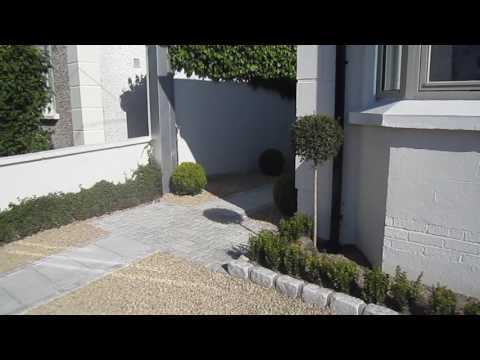 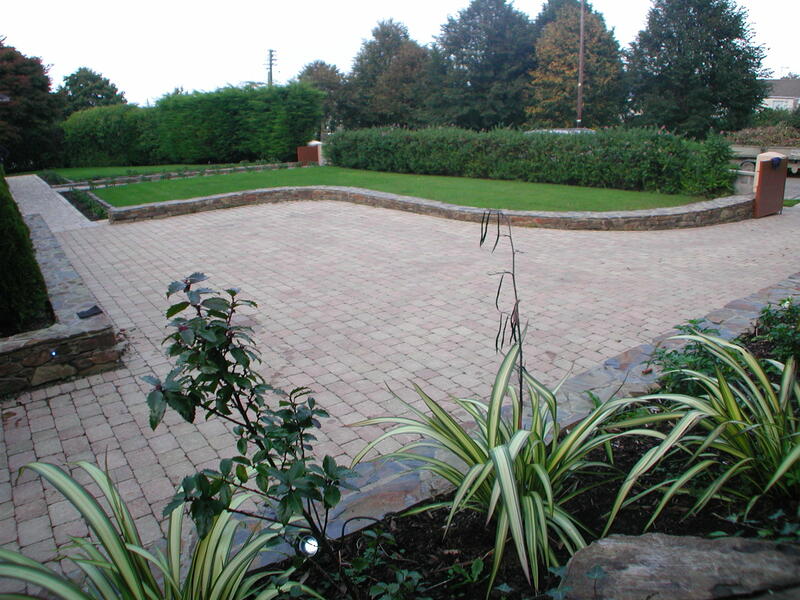 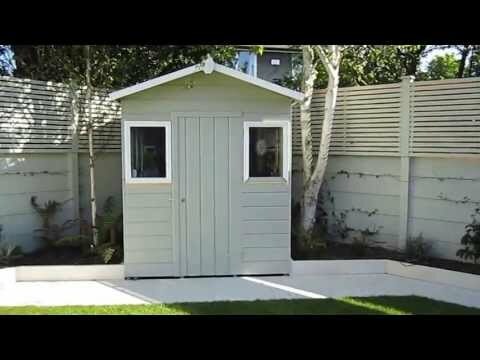 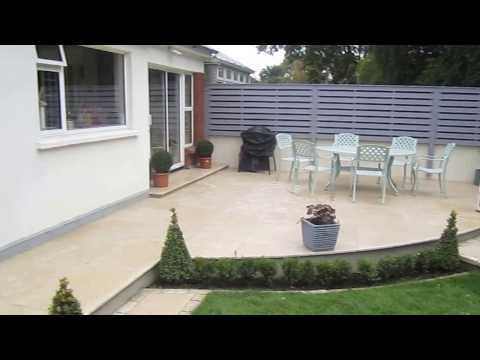 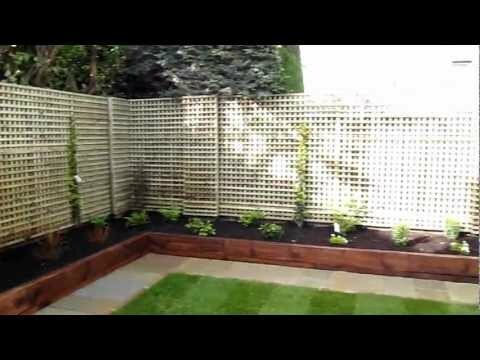 For this landscape gardening contract the client required a new driveway, electric gates, car port, entertaining area and outdoor garden lighting. 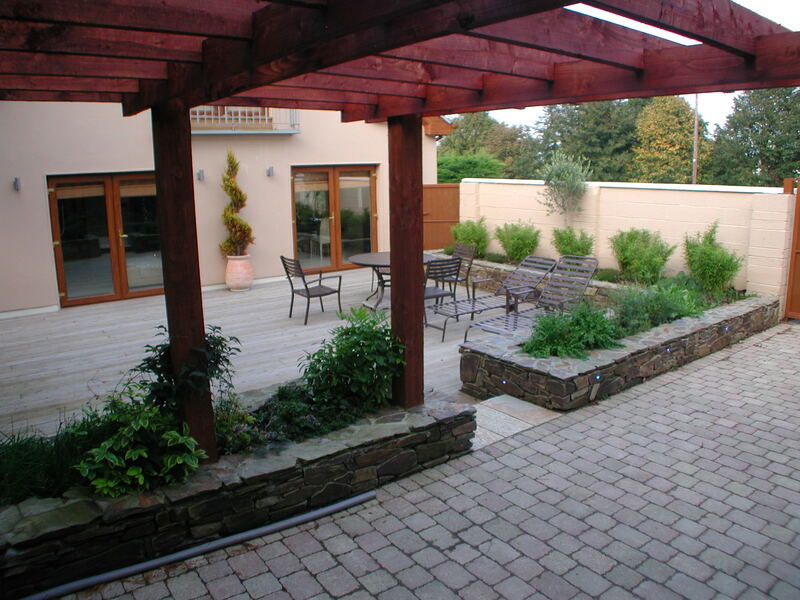 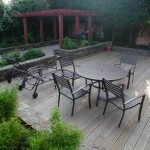 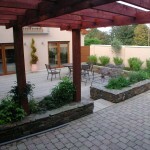 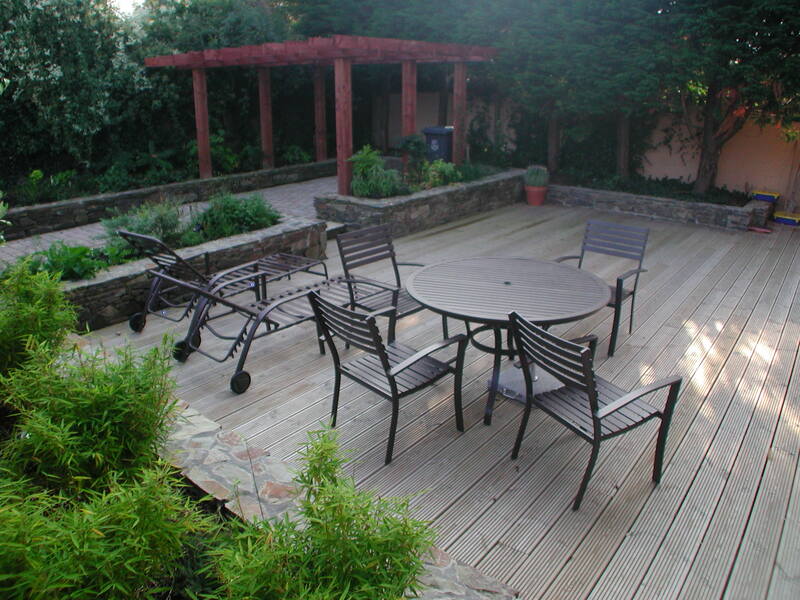 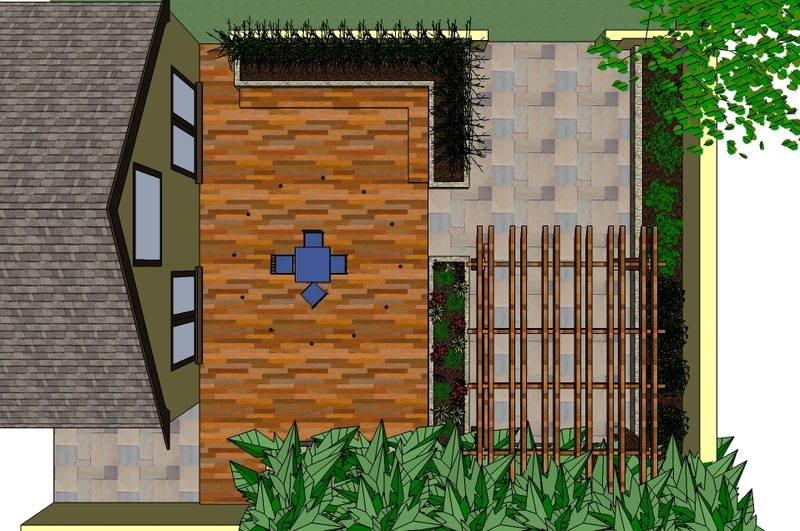 The entertaining area consists of raised natural stone beds, large softwood deck and culinary herb planting. 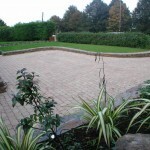 Stepping up from this area there is a car port designed to protect vehicles from the elements. 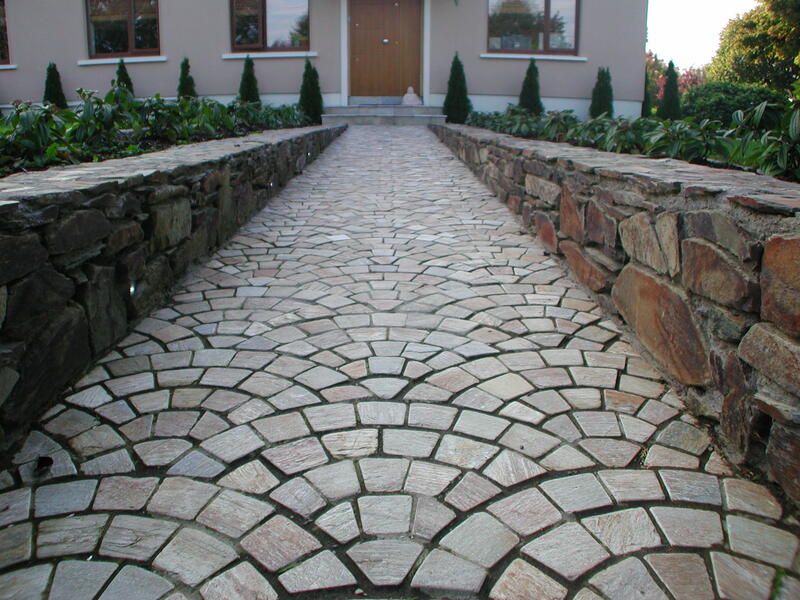 The new driveway has been created using tegula bracken paviors surrounded by raised natural stone beds. 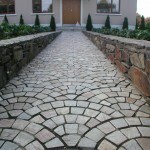 Stepping down from the driveway onto paths finished with fan tail cobblestones you are lead to the front door. 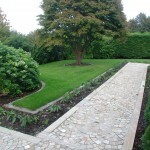 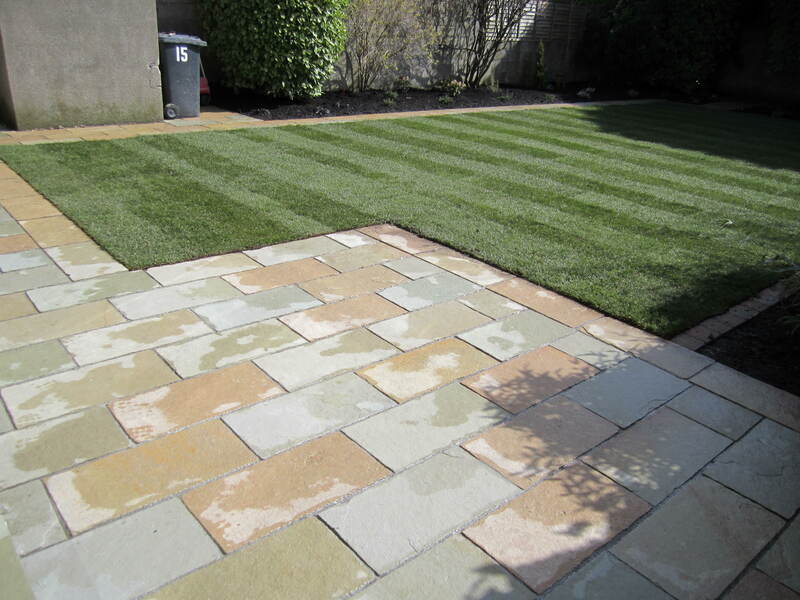 The existing lawn has been restored and tegula paviors have been used to create mowing edges for new beds. 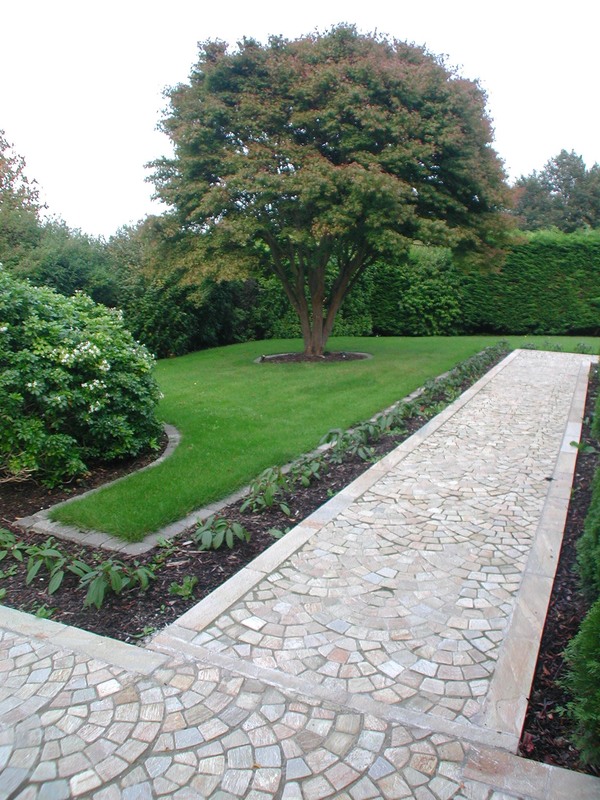 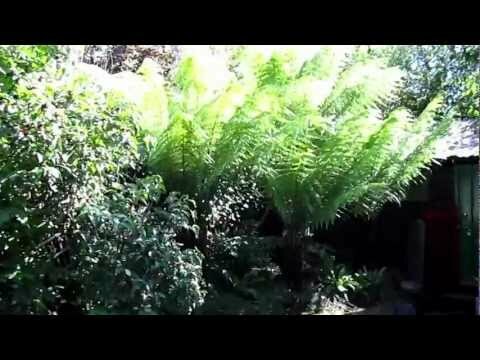 Planting consists mainly of shrubs and small trees. 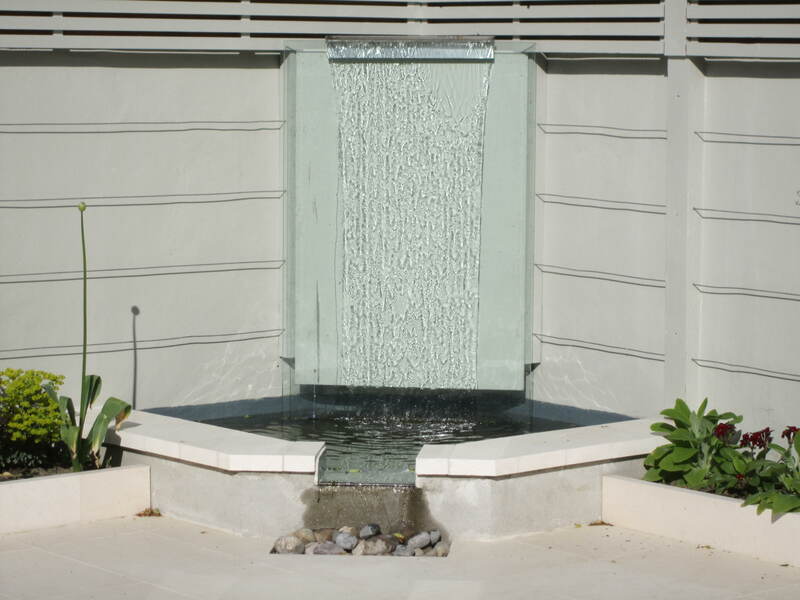 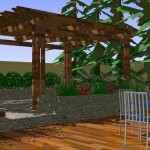 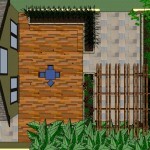 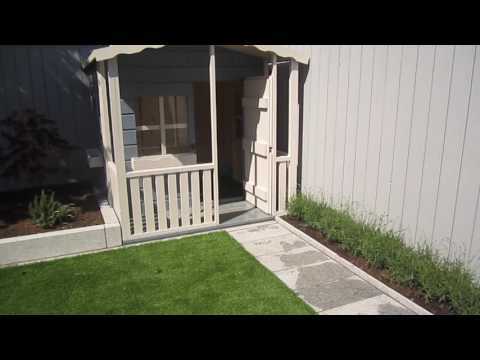 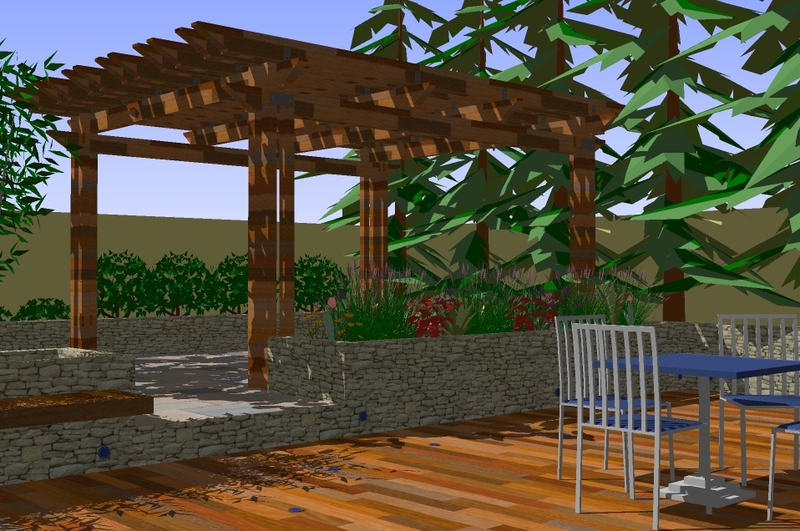 Garden lighting has been installed throughout this landscaping garden design.